eCommerce Archives | Morai Logistics Inc. The future of retail is growing increasingly reliant on digital technologies, which will place significant demand on transportation supply chains. According to the U.S. Census Bureau, in 2017 retail sales hit a record breaking $5.7 trillion USD. By 2020, global retail sales is expected to rise to $27.73 trillion USD. Statistics also reveal that last year, ‘an estimated 1.66 billion people worldwide purchased goods online’. This translated into $2.3 trillion USD in e-sales, a figure that’s expected to rise to $4.48 trillion USD by 2021. These figures represent a positive progression of economic prosperity and in addition also identity a significant transformation in the retail industry. Research on the cause and effect of these figures suggest that technology is playing a significant role in where retail is headed. Recent trends indicate that both technology and consumer behaviour are two notable factors influencing these numbers. Therefore, it’s no surprise that this will have an impact on supply chains, the question is how much? Morai Logistic has identified the benefits emerging technologies provide supply chains to meet the increase in consumer demands. This week, we look at how digitization is impacting the retail industry and how this translates into a need for greater immediacy and efficiency. 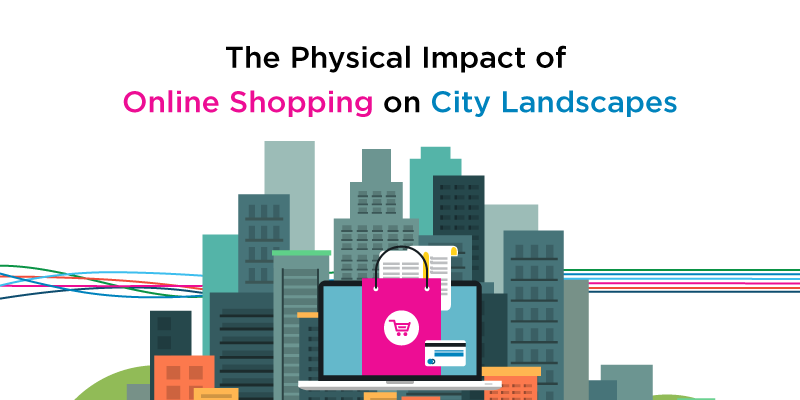 The retail industries transition from brick-and-mortar to online, is one of the most prominent ongoing movement today. By 2020, e-commerce sales will account for ‘16% of retail sales’, making its mark as the ‘largest channel’ in North America. This doesn’t suggest that ecommerce shopping carts will completely replace traditional physical stores. However, it does require an urgency for retail companies to adjust their strategies in order to accommodate consumer demands. Retailers found they had to offer value in the form of higher service and convenience in addition to lower prices. In order for companies to respond with convenience, low prices and gain competitive advantage, they must provide both online and in-store opportunity. Statistics on consumer spending this year, signifies that there is ‘a definite move toward online shopping’. The retail industries response to this rise in consumer demands also means a shift from a product-centric model to one that is customer-centric. 84% of customers say being treated like a person, not a number, is very important to winning their business. With easy accessibility to products online, there is also an increase in demand for ‘instant gratification’. This translates into speed, which in supply chain is referred to as immediacy. The Financial Brand states that the ability for a company to deliver a product fast is no longer a ‘nice-to-have’ but a ‘need-to-have’. Therefore, companies must structure their supply chains accordingly. However, experts say that supply chains have not been able to keep up with this rise in retail prosperity. Worldwide management consulting firm, McKinsey & Company, states there in order to keep us there is a “need for a supply chain revolution.” What does this look like? 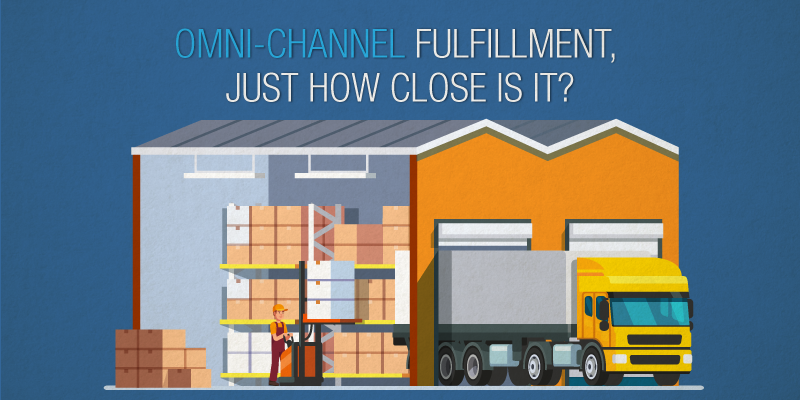 Retailers must improve their visibility across the entire shipment lifecycle; offer cost-effective solutions, while being able to deliver expedited shipping; restructure to achieve a ‘greater flexibility in inventory management’; and also optimize their distribution methods by incorporating optimal distribution centers (DC). 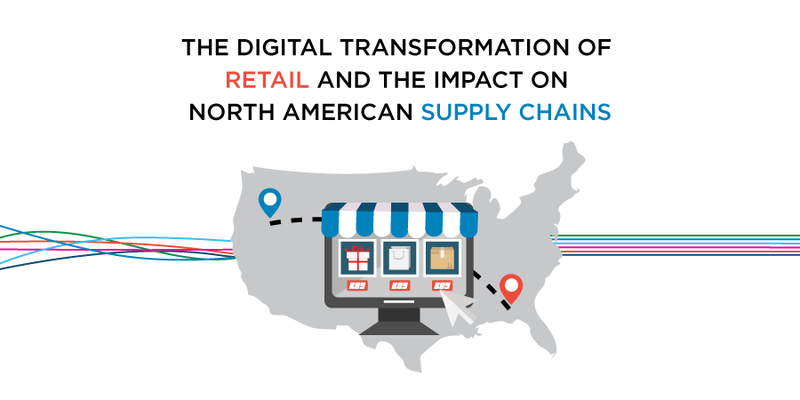 As the retail industry continues to grow and expand, supply chains will notice a progressive amount of pressure. The impact of increased consumer demand across a large scale of industries is a result of how technology is changing consumer behaviour. With the retail e-commerce market projected to reach CAD$29 Billion by 2021, businesses are urged to partner with third party logistics (3PL) providers to satisfy end-to-end customer experiences. 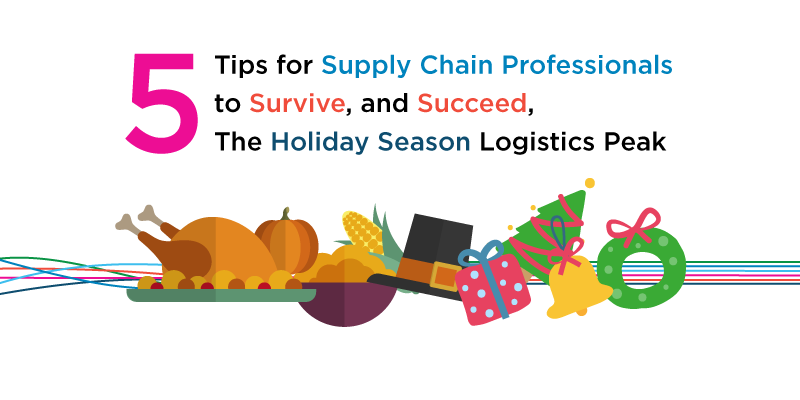 Supply chain and logistics companies recognize the increasing demands of customers across a variety of industries. From retail to pharmaceutical markets, to in-store and online ecosystems, the need for optimized solutions is key to driving revenue and customer loyalty. In response to an accelerating Canadian ecommerce market, 3PLs prove to be the most effective and efficient catalyst for achieving these initiatives. This article identifies current trends within the ecommerce market and the top three benefits 3PLs bring to the shipment lifecycle. Over the next ten years, projections show that online verticals will generate 35% of Canadian retails sales. Consumers are no longer purchasing on a singular platform, pushing companies to shift from traditional to omni-channel strategies. In addition, consumer loyalty has gravitated from brand names to companies that offer immediacy and low cost. Young consumers (ages 18 to 44 years) have an increased level of online activity, with 50% of those under 35 purchasing at least once a month. Online research precedes 60% of all purchases. 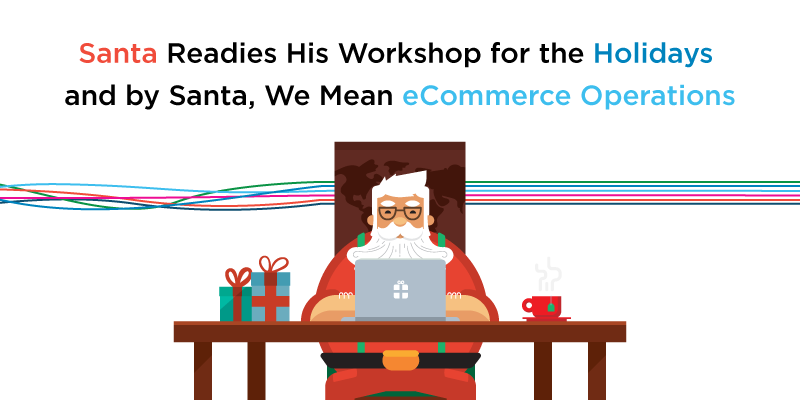 eCcommerce sites are improving their product availability and shipment options. Today, ecommerce businesses meet the growing demands of consumers by providing platforms that deliver immediacy and convenience. By breaking barriers associated with geographic limitations, consumers are able to purchase globally and at lower costs. In addition, online platforms give access to information with the click of a button, making research and comparison shopping easier. While the benefits for online shoppers remain high, ecommerce businesses must ensure they have the appropriate processes in place to meet customer expectations and fulfillment. Third party logistics (3PL) provider’s become an integral component to optimizing supply chains for the retail ecommerce industry. By 2024, 3PL market share is expected to be well over USD$1,100 billion, according to Global Market Insights. A contributing factor to market growth will be attributed to an increased need for ecommerce businesses to meet the growing demands of their consumers. Immediacy and efficiency must translate into “fast delivery, efficient inventory management, freight forwarding, and individualized shipping time” (Cision, 2017). 3PLs provide solutions that facilitate flexibility and scalability to businesses looking to create efficient and specialized processes for their customers. Aside from the management of supply chain processes, there are three benefits 3PLs offer that contributes significantly to the ecommerce ecosystem. As mentioned above, ecommerce sites break geographical limitations and enable online shoppers with purchase options across the globe. However, on the retail side this may propose an issue as multiple orders create complex supply chains. 3PLs break this barrier by offering freight consolidation solutions that streamline shipments using a single point of contact and stable operation procedures. This also cuts costs for businesses as consolidation enables effective use of shipments. Business Dictionary defines order fulfillment as a “sequence of steps involved in processing an order to the satisfaction of the customer and making the necessary changes in the inventory records”. Online businesses need efficient processes in place to ensure all steps of the shipment lifecycle are carried out efficiently and effectively. 3PLs help satisfy customer experiences by guaranteeing the accuracy and handling of shipments are exceeded. This in turn, nurtures the relationships between business and customers, which translates into growth and positive ROI. Businesses that operate online require dependable warehousing and distribution solutions, which can sometimes pose concern. 3PLs help ecommerce sites carry out omni-channel strategies by supporting all distribution initiatives. Whether items are shipped to retailers or directly to customers, a 3PL utilizes technology such as transportation management systems (TMS), to deliver results. This removes the burden of integration from businesses, reduces operation costs and improves visibility for customers. Based on the figures above, significant projections indicate that Canada is progressing forward as a leader within the global ecommerce market. To meet the growing demands of online customers, ecommerce businesses must partner with 3PLs that offer a resume of optimized solutions. 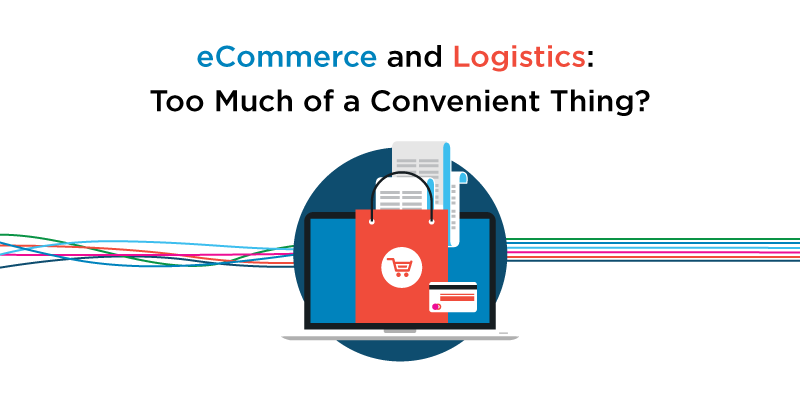 eCommerce and Logistics: Too Much of a Convenient Thing? E-commerce giants are turning to brick-and-mortar stores to supplement their continued growth trajectories. Could this mean the e-commerce market is too saturated? To say that online shopping and e-commerce has boomed in the last decade would be a gross understatement. In 2014, retail e-commerce sales worldwide were 1.3 trillion U.S. dollars. That number rose by 954 billion as of this year and is estimated to hit nearly 4 trillion by 2020. However, despite the impressive numbers, there seems to be a shift in strategy amongst the titans of the booming online retailer industry. A few weeks ago, Reuters reported that Chinese e-commerce giant Alibaba had announced plans to move into the physical realm of brick-and-mortar stores. The move is a strange one for the company given that until now, its made $392 billion through digital sales alone. Alibaba’s American counterpart, Amazon, has made similar announcements. Its recent purchase of Whole Foods and unveiling of an automated physical store late last year indicates the company is already on a similar trajectory. The question to ask is why is this trend happening. Reporter Robyn Mak, who broke the Alibaba story, suggests that its because the retail e-commerce market is reaching its limits for the industry titans. The company will upgrade existing physical shops in partnership with established retailers. The company will also build its own stores from the ground up. Continued support for “Hema”, Alibaba’s own supermarket chain where can customers buy and have groceries delivered. Some stores even allow customers to choose fresh produce and have cooked in-store. Explore a similar Hema strategies for clothing. The potential windfall profits that could be made through e-commerce has led to many new online businesses. In fact, there was an estimated 12 to 25 million online stores worldwide according to a 2014 study. Most of that money trades hands in North America, followed by Europe and then China. The world of ecommerce is dynamic and has opportunities for innovative new start-ups. At this point, Amazon and Alibaba might be too big to grow further. Currently, 85% of China’s retail spending happens in brick-and-mortar stores. So while Alibaba is starting to stagnate in its online sales, it can continue its expansion into physical markets. As mentioned earlier, Amazon has already started on this path. They invested $13.7 billion to acquire and rebrand the Whole Foods Market chain. As more people go online to do their shopping, the e-commerce market will continue to grow. Alibaba and Amazon are in the process of developing developing new strategies. But because of the demand in ecommerce, new avenues need to be explored for the industry titans. This won’t mean either company will give up any ground online. Instead, each has its own plan to expand past the digital store. Few things in life move as fast as fashion trends. Just as a style becomes widely accepted, its immediately replaced by something new and different. It’s no surprise then that self-styled fashionistas want what’s hot on the catwalk as soon as they see it. Fashion retailers try to oblige by optimizing aspects of their supply chain so the latest trends reach mainstream consumer markets as quickly as possible. There’s even a term for the process, it’s called ‘fast fashion’. This is top priority for retailers such as Peacocks, H&M, Topshop and Zara. And now, it’s also Uniqlo’s guiding philosophy as of this March announcement. Uniqlo embracing the fast model marks a departure for the company. For years, its brand message was of “quality first, then price” and “simple made better”. It never really chased the most current trends, instead opting for providing wardrobe essentials. However, 2016 saw a disappointing year for the retailer. The company made a 40% cut to its revenue predictions for the next five years. It’ll now be putting more resources into something Zara has been doing well—speed. Zara sells fashion rather than catering to customer needs. We will sell products that are rooted in people’s day-to-day lives, and so based on what we hear from customers. 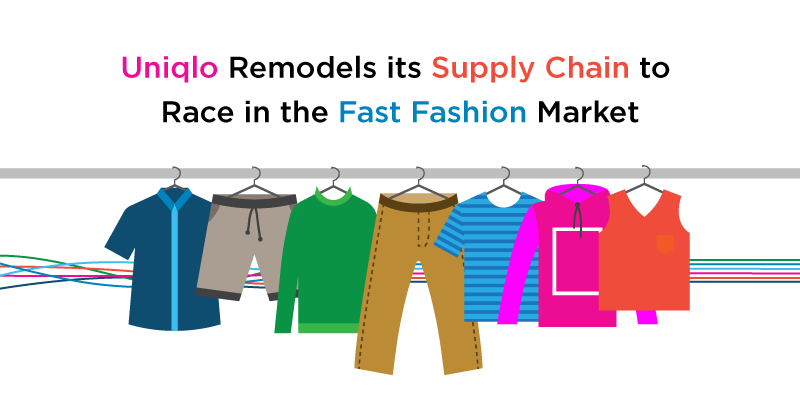 Uniqlo also announced it plans to improve its supply chain with heavily automated production facilities and artificial intelligence to determine the most efficient design and delivery routes. An article on Glossy.co covering fast fashion suggested that the philosophy of faster delivery is linked to instant gratification, and for many retailers, it has helped lower the return rate. Writer Jeff Manoff describes how during the New York Fashion Week, big names such as Ralph Lauren, Michael Kors and Tommy Hilfiger revealed see-now, buy-now styles. Several retailers even had one-day delivery options. In eight years, the total sale of luxury sales online is estimated to reach $90 billion. Delivery times have been decreasing. They went from nearly 5 days in 2013 to around 4 days just two years later. Customer expectations have also shifted. Unless a delivery is made within two days of purchase, it’s no longer considered “fast”. Even same-day delivery may no longer be enough. Some retailers are now offering one-hour and 90-minute deliveries. Faster delivery is linked to a decrease in return rate which helps overall sales. Uniqlo’s literal change of pace may be a shock to some of its customers. However, it shouldn’t be too much a surprise for anyone looking fashion retail industry trends. Customers want and expect to have things immediately after they order them. As online shopping grows, the number of people with similar demands will also increase. If the fashion, or any retail industry really, wants to stay viable, it’ll need to shorten its supply chain and speed up delivery. Changing consumer behaviour is reshaping and revitalizing industrial sectors by funneling resources into warehouse construction. According to an article by the Wall Street Journal (WSJ), the digital market place is having a physical impact on urban landscapes. Throughout the U.S, industrial pockets are seeing a “economic renaissance” reports the article’s author, Erica E. Phillips. Large city malls and brick & mortar stores are being closed throughout the country due to dropping consumer interest. In their place, more people are shopping online for what they need. As a result, more warehouses are needed to store everything. This has led to formerly struggling industrial areas receiving fresh investment as land prices for new distribution centres increases. It can be hard to imagine, but even the idea of online shopping is still relatively new. The earliest version of the concept only dates back to 1979. Industry giants such as Amazon, Alibaba and Ebay are only 23, 18 and 22 years old respectively. In the two decades since they started (a little less in Ebay’s case) they, and companies like them, have revolutionized how people shop. Even luxury retailers are turning towards being more online shopping-friendly. A different WSJ article reported that retailers of high-end goods are scrambling to go online as sales are starting to fall. This is because even wealthy customers like having access to better deals and selection at their finger tips. As more families shop for their necessities online, where does that leave traditional brick and mortar stores? Unsurprisingly, many have either dedicated part of their operations to compete online themselves, changed to become more service-based, or closed down altogether. Many cities are razing downtown shopping centers from a bygone era to make way for hotels, office buildings and new housing developments. Suburban malls trying to keep the doors open have shifted their focus to higher-scale restaurants and new entertainment offerings, such as golf driving ranges, wall climbing and skydiving simulators. All this is a win-win for consumers and urbanites. As warehouses become a way a life for formerly struggling communities, consumers everywhere will have access to a wider range of products and deals. The weekly shopping can then be completed in just a few minutes. This leaves more time for a family to explore the new restaurants that have sprung up where the old malls used to be.